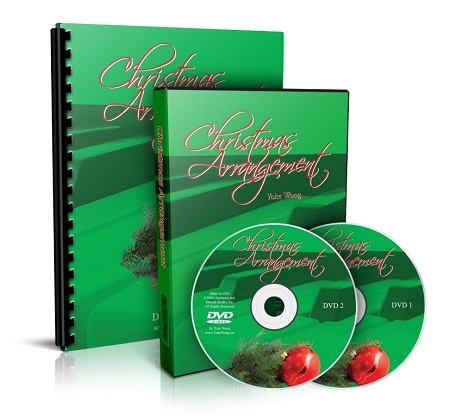 The course comes with two DVDs (three hours video lessons), one manual (40 pages with full sheet music) and free bonuses. The downloadable version is available. When I listened to Away In A Manger and Silent Night on the first disc, I thought NO Way!! After having followed your step by step instructions and being able to replay the DVD several times, I am now working on the finishing touches. I can hardly wait until Christmas to play them for my daughter. If God has put this desire in your heart. He also grants you your heart’s desire; that is Yoke’s Christmas arrangement course. I’m sure you will find your delight in this course. I am so happy with my music Yoke , you have certainly got the gift for teaching music, I didn’t think for one moment I would be able to play Away in a manger as beautiful as you do. I have had my lesson for one week and I have practiced and listened to your DVD and it’s already beginning to flow I’m so happy with my progress in such a short time ! Thank you !! thank you ! !